Meditation is a mental discipline by which the practitioner attempts to get beyond the reflexive, "thinking" mind into a deeper state of relaxation or awareness. 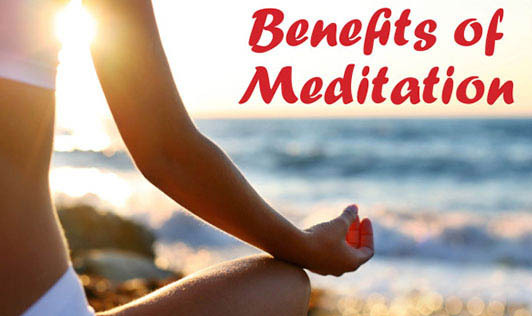 Meditation is a component of many religions, and has been practiced since antiquity. It is also practiced outside religious traditions. Different meditative disciplines encompass a wide range of spiritual or psychophysical practices that may emphasize different goals - from achievement of a higher state of consciousness, to greater focus, creativity or self-awareness, or simply a more relaxed and peaceful frame of mind. Good for people with high blood pressure because it helps bring the blood pressure down. Ability to let go of negative emotions such as anger and paranoia. Helping in chronic diseases like allergies, arthritis, etc. Enhances confidence and self control. Reduces pre- menstrual syndrome (PMS).